I just lost a cousin-in-law (hubby's cousin) to cancer. She was a very beautiful and charming lady. Met her once and she left a lasting impression. She battled the "dreaded C" which ravaged her breasts and probably metastasized to other parts of her body. She, 39, was a fighter; battled this disease for almost three years till she gave up the will to fight in the face of dwindling finances and strength. She was reported to have said something akin to "I'm tired and giving up". She left behind three kids with the eldest barely 7. It hurts deeply. Her parents are inconsolable. This piece is dedicated to her and to all those battling the "dreaded C". Breast cancer is reported to be the most common cancer among women worldwide with the highest cases reported in developed countries. Low-income countries like ours have a gradually rising incidence as a result of increasing life expectancy, increased urbanisation and adoption of Western lifestyles. While it's occurrence is higher in developed nations, deaths due to breast cancer are higher in developing nations largely due to poor health facilities and financial capabilities. The least we can do is check our breasts at least once a month for lumps. We do not know the exact cause of breast cancer, but experts suggest that healthy living can reduce our risk. Let's try eating healthy and fresh foods as much as possible, exercise can also not be overemphasised . 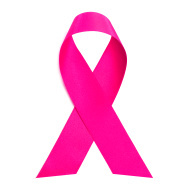 Anyone can have breast cancer ; man, woman or child though one's risk is said to increase as one nears midlife. Mammography is recommended at least once a year for women aged 40 upwards. Cancer can occur on any part of the body, except the hairs. Some cancers unique to women are those of the uterus, ovary and cervix. Cervical cancer is said to be linked to sexual activity. Some research works reported it almost doesn't exist among celibate women . HPV (human papilloma virus) screening is highly recommended for sexually active females 21 years and above, especially those who have had more than one partner. HPV is said to predispose one to cancer of the cervix. Our adolescent daughters should also get vaccinated against HPV. We can't change our genes but we can influence our lifestyle and diet. Let's reduce our intake of highly processed foods, we are blessed with a vegetation like ours and so many varieties of fruits and vegetables year round. Let us always choose our local foods over exotic species. As much as possible let us reduce our sedentary lifestyles.Loosing one's life in one's prime is horrible so also is making little children orphans. My heart goes out to everyone facing this battle and those who have lost a loved one to cancer. It is a sad reality and the best we can do for ourselves is get checked regularly and maintain a healthy lifestyle. I pray for a cancer-free world. No one deserves to be ravaged by such a dreaded disease. To Aunty Phina, and all those strong women who bowed down to the fight, may God grant them perfect peace in that place where I believe there exists no cancer or any infliction whatsoever. Ozoemena (literally translated to mean "may such never befall us again) is an Igbo name and prayer, that's my prayer for all of us, and our loved ones. Amen.